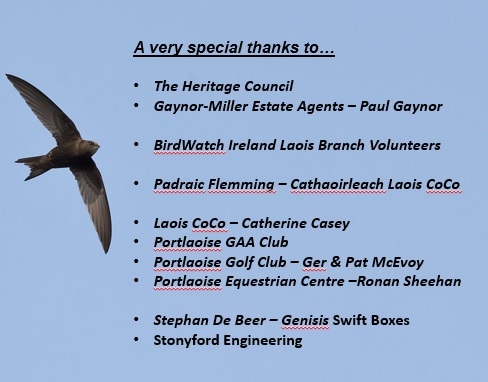 With help from a successful funding bid to the Heritage Council the Laois-Offaly Branch of the Irish Wildlife Trust are co-coordinating a great new Swift nest box project in Portlaoise this autumn. Earlier this summer the BirdWatch Ireland Laois Branch volunteers combed the county for Swift nest sites and discovered many previously unrecorded sites. 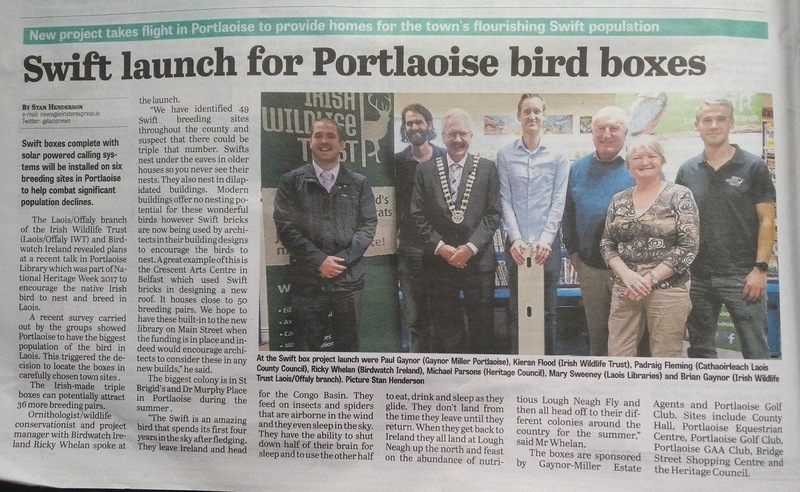 The results of this effort helped steer the Portlaoise project to ensure the boxes are located in the best areas to help strengthen and grow the local Swift population. The plan involves erecting 12 new specially designed "triple cavity" Swift nest boxes at 6 locations both in the town centre and the outskirts of the town. The boxes have 3 separate nest cavities so there will be 36 new nest sites available to returning Swifts nest summer. Each site will also see a solar powered Swift caller kit installed, the kits proven to increase success with attracting Swifts will play a Swift Call to attract passing Swifts to investigate the boxes. 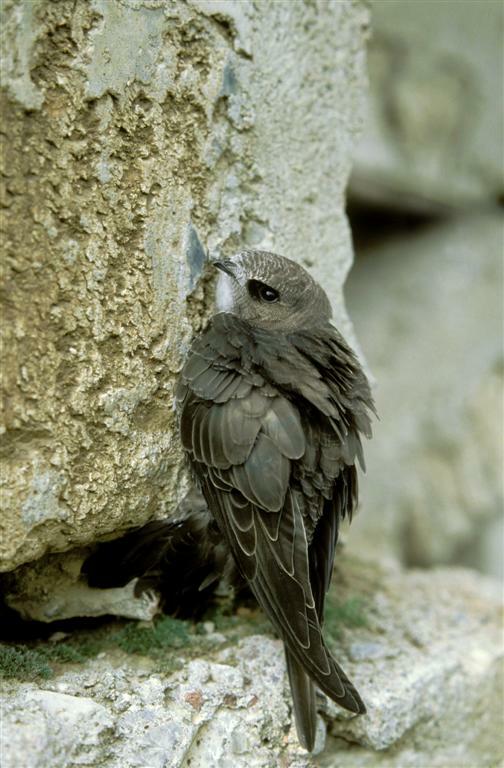 As Swifts are colonial, they are attracted to sites where birds are already present, the lure mimics that and can help the colony establish more quickly. 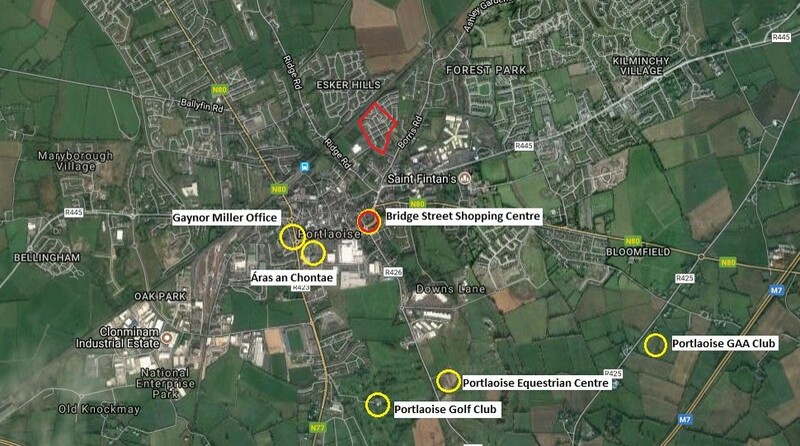 The proposed sites for the boxes include: Laois County Council Offices, Gaynor-Miller Estate Agents Office, Portlaoise Equestrian Centre, Portlaoise Golf Club and Portlaoise GAA Club grounds. The boxes have been designed and built in Ireland by Genesis Nest Boxes a company based is Killarney, Co.Kerry. With final preparations in place Stonyford Engineering who designed the solar caller systems will install the equipment in the coming weeks (autumn 2017). Launch of the Portlaoise Swift Box Project at Portlaoise Library (from left) Paul Gaynor (Gaynor-Miller Estate Agents), Kieren Flood (Irish Wildlife Trust), Padraig Fleming (Cathaoirleach Laois CoCo), Ricky Whelan (BirdWatch Ireland), Micheal Parsons (Heritage Council), Mary Sweeney (Laois Libraries) and Brian Gaynor (IWT Laois-Offaly Branch). Not pictured Catherine Casey (Laois Heritage Officer) and Pat McEvoy (Portlaoise Golf Club). 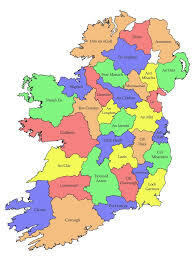 The project was officially launched during Heritage Week by Cathaoirleach of Laois County Council Padraig Flemming. 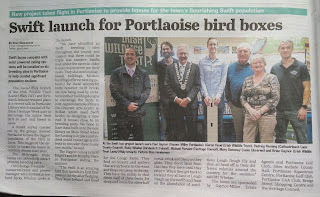 Our own Ricky Whelan gave an illustrated talk to the audience describing Swift ecology right through to threats, conservation measures and the details of the Portlaoise Project. 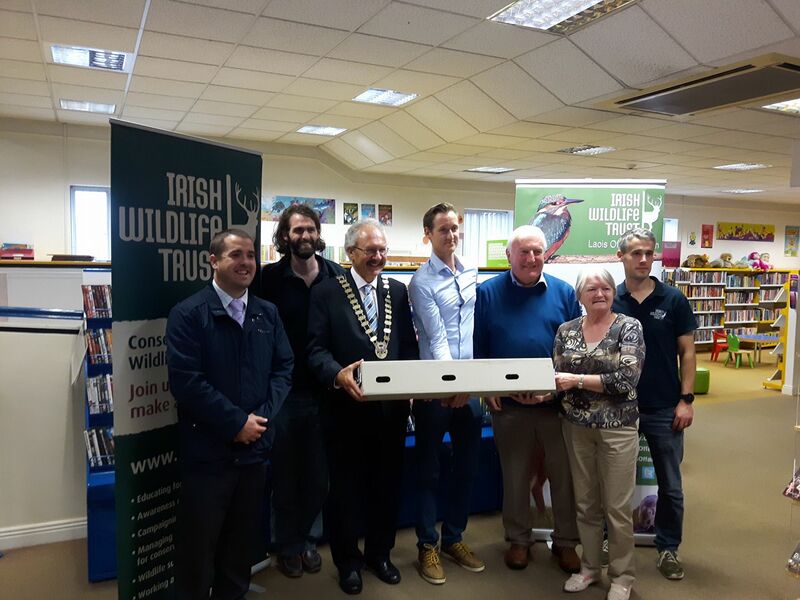 Congratulations is due to Brian Gaynor who is Conservation Officer with the IWT Laois-Offaly Branch and the key person behind the project. 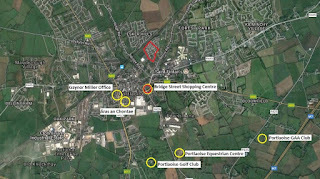 Brian has asked that thanks is given to the Heritage Council, Gaynor-Miller Estate Agents who part sponsored the project and provided a box location, Laois County Council, Laois Libraries, the owners of the nest box sites for their agreement and enthusiasm for the project, Catherine Casey (Laois Heritage Officer) and BirdWatch Ireland for their effort and advice throughout.